Wow! 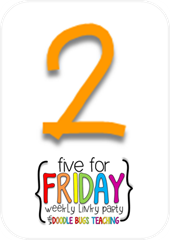 This week went by so quickly! Today was Homecoming at our school, and the varsity football players, aka Pigskin Poets, came to our classroom to read stories to the kiddos. I wish I had a picture to share with you, but the awwwe in their faces was priceless! 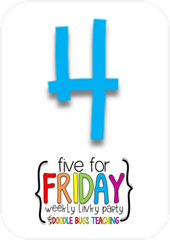 After school, the teachers all walked in the parade, and let’s just say I didn’t have my walking shoes on because some teacher may or may not have remembered her tennis shoes… On that note, let’s get started with Five for Friday brought to you by the fabulous Doodlebugs Teaching! First up, Columbus Day! I started by reading a kid-friendly picture book all about Christopher Columbus. 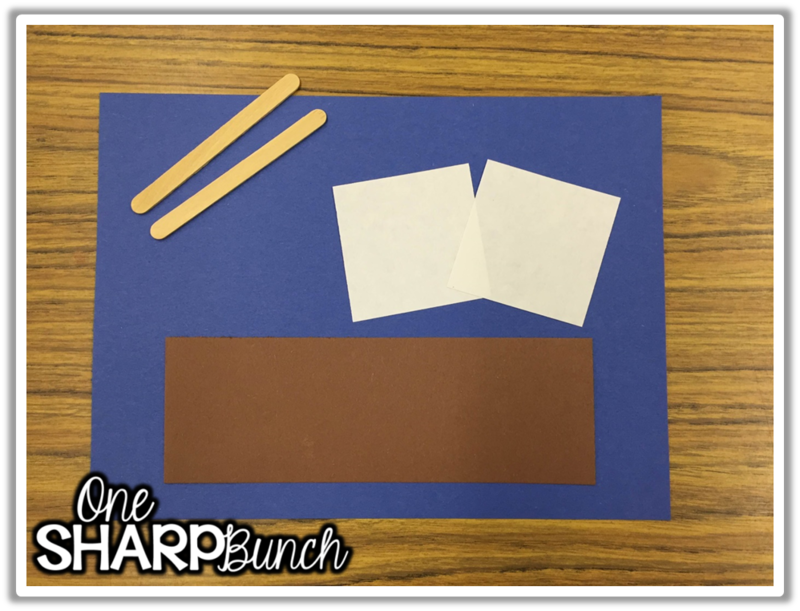 Then, we discussed the names of his three ships and completed a simple craft using a 9×12 piece of blue construction paper, 3×9 piece of brown construction paper, two 3×3 white squares, and two popsicle sticks. First, I demonstrated how to cut the brown piece of paper. Some years, I draw cutting lines on them. Next, we glued this to the blue piece of paper and drew waves. Then, we glued on the popsicle sticks and I demonstrated how to draw a cross on each sail. Last, we each chose which ship we wanted to make and added the cut up sentence to our paper. 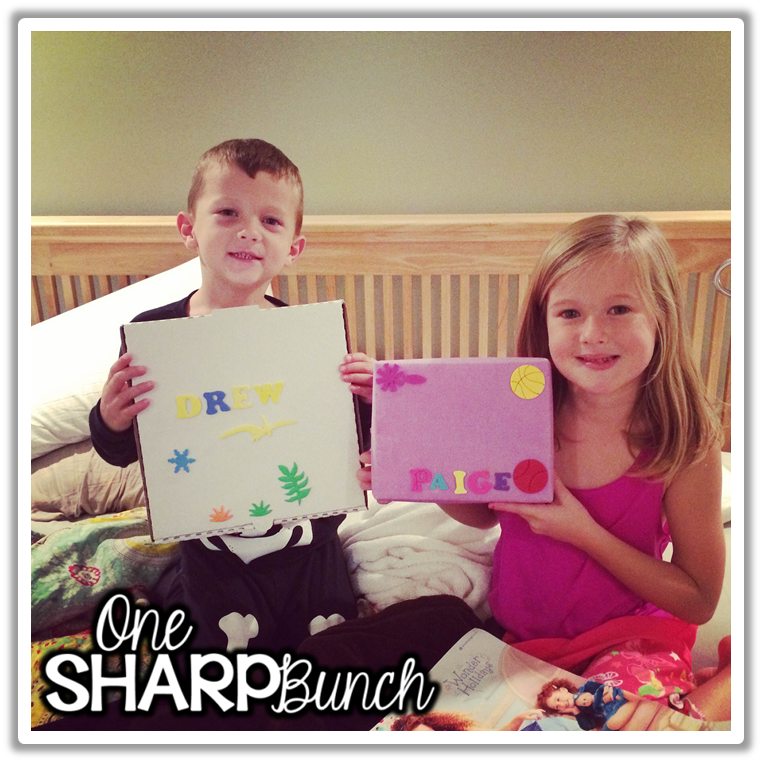 The words “I,” “like,” and “the” are words from our word wall, so I had the kiddos trace these words with a MARKER! They were beyond thrilled! 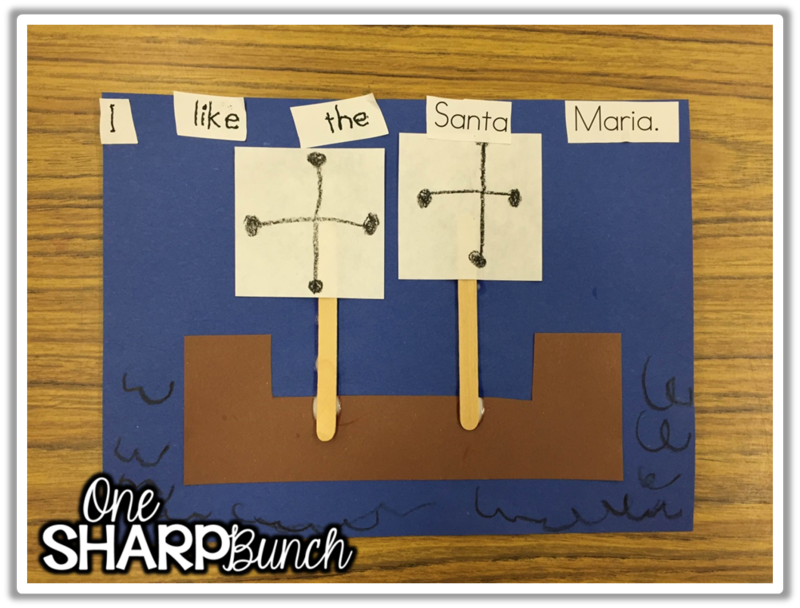 Of course, we all wanted to make the Santa Maria! I had a few friends who chose the Nina, because I chose that ship for my demonstration. This craft is an oldie, but a goodie! One of my retired coworkers shared this with me when I first began teaching! 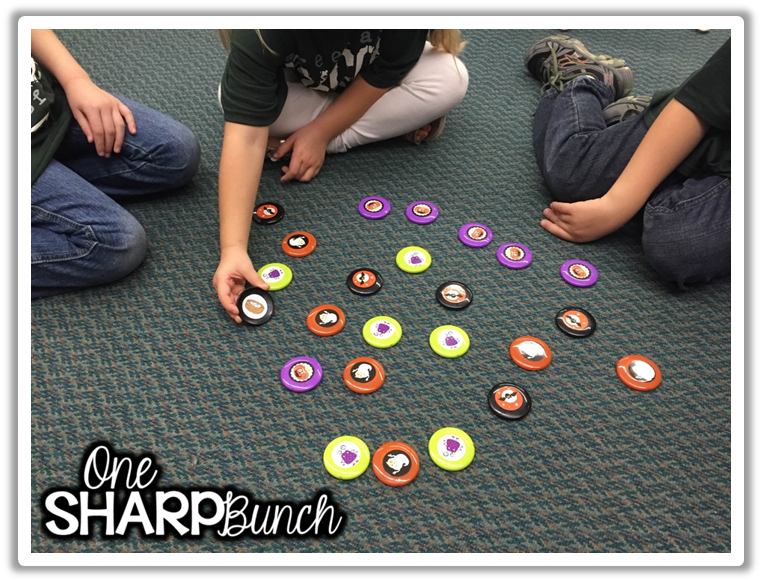 On Tuesday, I shared all about Magic C! If you missed it, I’d love for you to swing over to learn why C is a magic letter! We also made at home book boxes, with the help of our parent volunteers! The students will use these book boxes at home to store the emergent readers they bring home. That way they can keep them in a safe place and practice reading them to their parents, or if they get bored, as one student exclaimed! This year, I used pizza boxes from Gordon’s Food Service. 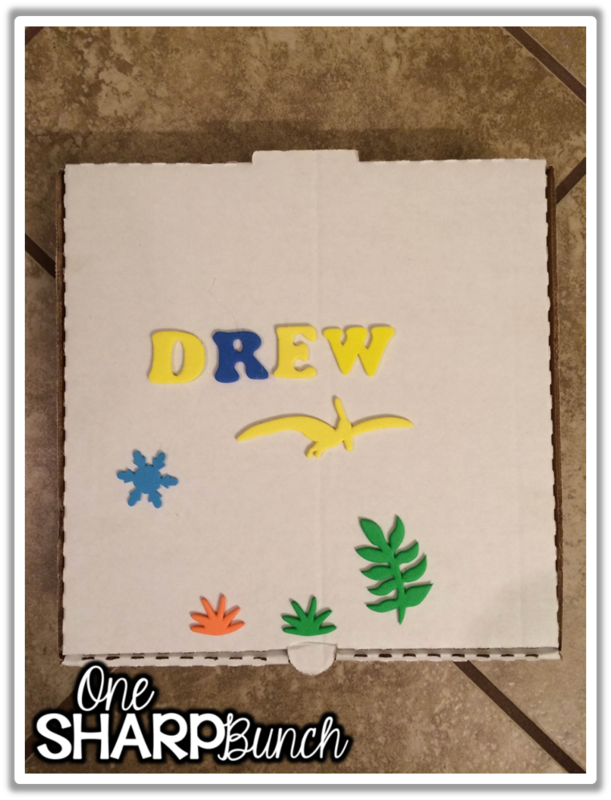 They are approximately 10×10, and the kiddos decorated them with foam letters and cutouts. In the past, I have wrapped shoeboxes. These work, but are terribly time consuming to wrap. Here’s a picture of my coworker’s kiddos, both of whom I taught. Her son is in my class now, and her daughter was in my class two years ago. I can’t believe she still has her book box – a girl after my own heart! One of my sweet coworkers used my Batty for Word Families activity this week. It totally made my day to hear how much her kiddos loved it! You can find it here, or by clicking the cover! And for number five, I leave you with another fun find! 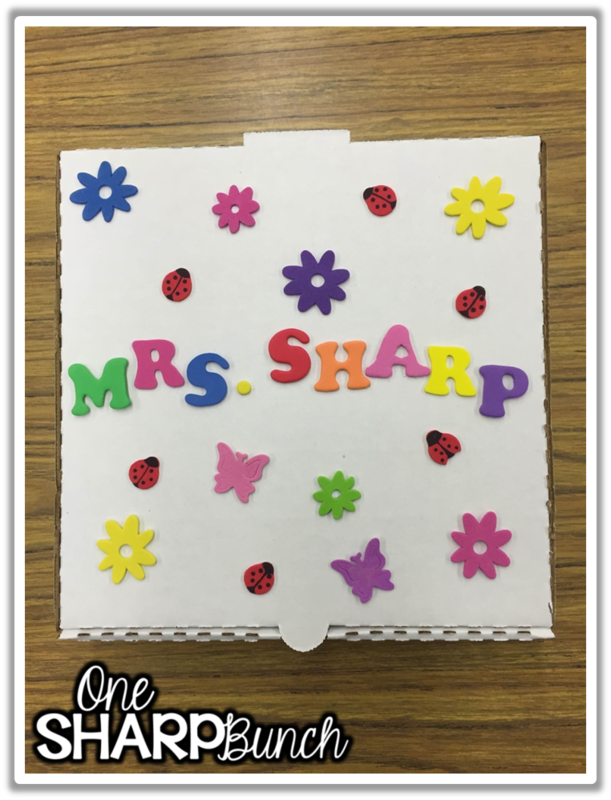 I found this fun rhyming activity from Make, Take & Teach. The Halloween discs came from Micahels, but I purchased them last year. I bet they have something similar this year, or you could definitely use the rhyming stickers on the bottom of any fun trinket! 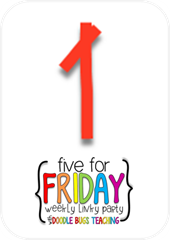 Don’t forget to link back to Doodlebugs Teaching to check out all the other Five for Friday posts! Thanks, Alexis! 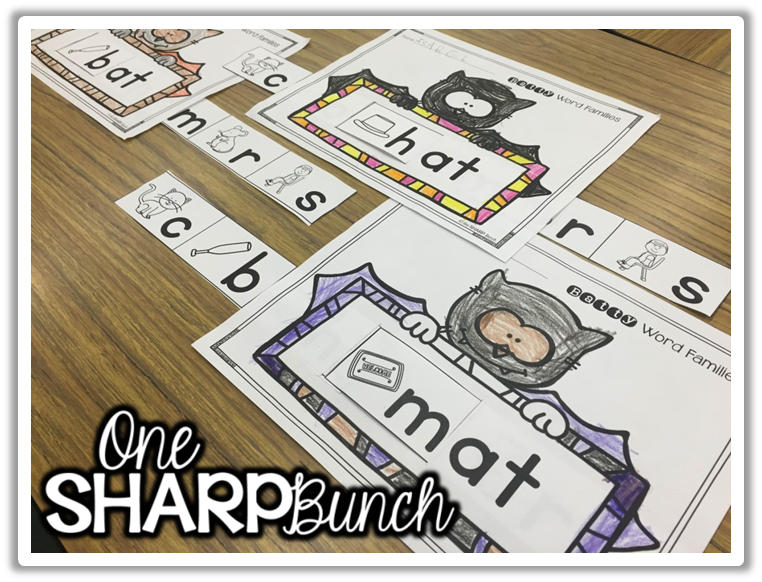 I have the kiddos take home the paper emergent readers I copy on the copy machine. We practice reading them everyday for a week, highlight word wall words, chunks, punctuation, etc. After the books have been in our school book boxes for a few weeks, I let the kiddos take them home. They get to keep them at home. 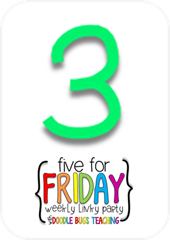 You might be able to find some paper emergent readers on http://www.readinga-z.com/ for your third graders. I also do take home book bags, but those books come back to school. Hope this helps! Thank you, Tiffany! Yes, I do remember your laptop boxes. I was actually thinking about them when I pulled out my leftover pizza boxes from last year. The kiddos love taking these boxes home. One of the moms sent me a picture of her son reading the books to his dad. He was so proud of himself!